Shenmu (SM) subbituminous coal without caking property was treated by low-temperature rapid pyrolysis (LTRP) to modify its caking and coking properties. The treated samples were characterized by Fourier transform infrared spectrometry, vitrinite reflectance, and X-ray diffraction to determine the modification mechanism. Moreover, caking index (G) and coking indices (mechanical strength, coke reactivity, and coke strength after reaction) were employed to evaluate caking and coking properties, respectively. The results showed that SM coal was gradually upgraded with increasing processing temperature. Furthermore, the G values for the treated samples were significantly higher than that for SM coal, and G reached the maximum value at 450 °C, implying the modification of caking property and the existence of an optimum temperature (450 °C). 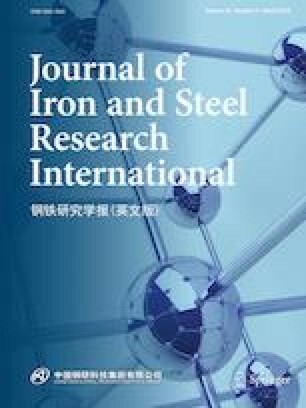 Additionally, laboratory coking determinations showed that LTRP increased the mechanical strength of coke and coke strength after reaction and decreased coke reactivity when the treated coals were used in the coal blends instead of raw SM coal. Overall, LTRP treatment is effective to improve the caking and coking properties of SM coal. A mechanism was proposed for the modification. Suitable upgrading degree with suitable molecular masses and some releasable hydrogen-rich donor species present within the coal, which dominate the development of caking property, is important. The authors are grateful to the National Natural Science Foundation of China (No. 21776002), Natural Science Foundation of Anhui Provincial Education Department (Nos. KJ2016A097 and KJ2017A056), Innovation Project of Overseas People of Anhui Province, Student Research Training Program of Anhui Province (201810360190), and Youth Natural Science Foundation of Anhui University of Technology (No. QZ201806) for financial support.